One of Huawei's tablet line up, which will be released soon in the Philippines. 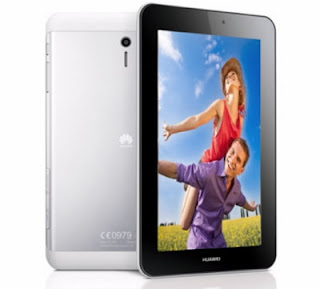 As of now, we don't have a slightest clue about its price, but we do have some specs of Huawei MediaPad 7 Youth. The Emotion UI which have been previously features on some Huawei's smartphone are still featured on this tablet, while the body of Huawei MediaPad 7 Youth is very thin measuring to 9.9mm which can be comfortable and portable. Full of entertainment, Huawei MediaPad 7 Youth can play 1080p HD and a very fast 1.6Ghz Dual core processor, fast GPU, and unlimited ways of connecting online, battery is also monstrous that can hold a day in a mid to high usage. Overall lets just dubbed this tablet as "Gaming, Entertainment, and Social Media" as that what tablets are all about, and I almost forgot the call and text feature should never be miss out. As of now, we don't have a clue of the price but it has been rumored to be released first at Asia, Europe, and Middle East this 3rd quarter of the year. What can you say about Huawei MediaPad 7 Youth? Be sure to subscribe and stay tuned for more updates!